The evolution of cybercrime, no longer just an IT problem. 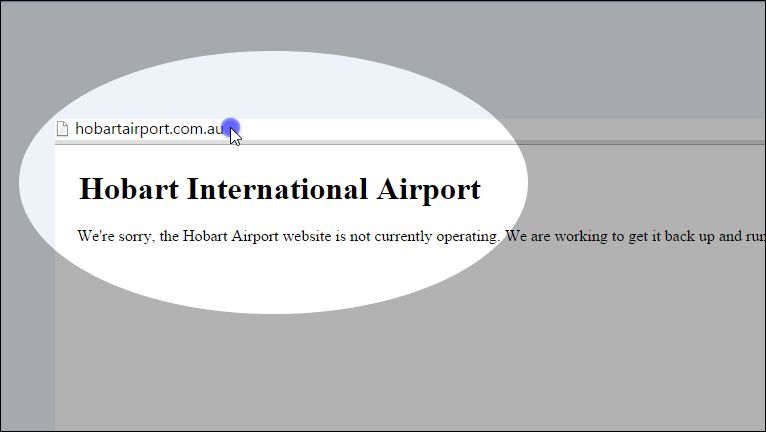 Hobart Airport website defaced. HOBART International Airport is reviewing website security protocols after its website was defaced about 3:30am on the 13th of April 2015. The airport’s IT department decided to take the website down about 6am. One would ask as to why a Disaster Recovery plan still has not taken effect more than 9 hours after the sites incident was detected. Having a Disaster Recovery Plan means that all the decisions have already been made in a calm non-disaster environment which will ensure IT can follow through with the required plan to keep business running while the incident is being investigated. It was only recent when US Centcom Twitter accounts were hacked by the same terrorist group while Mr Obama was giving a speech on cyber security threat stating: “enormous vulnerabilities for us as a nation and for our economy“. 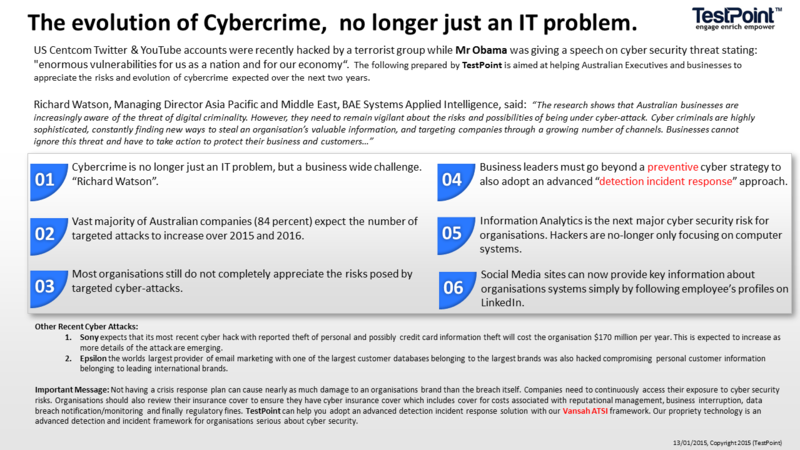 The following article prepared by TestPoint is aimed at helping Australian Executives and businesses to appreciate the risks and evolution of cyber crime expected over the next two years. 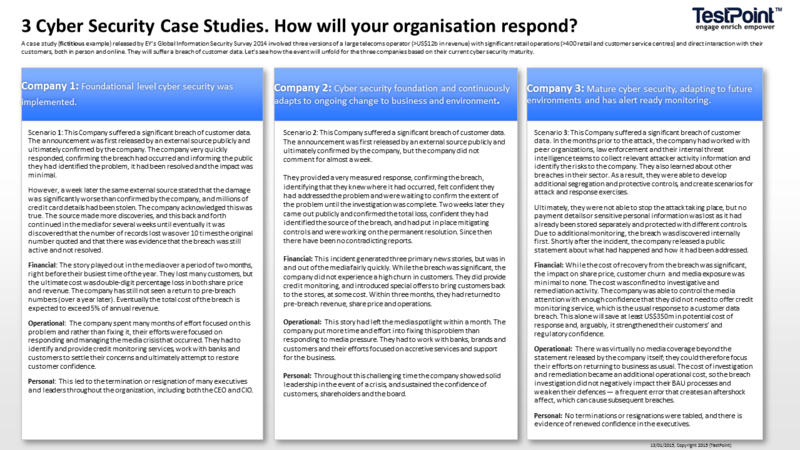 Executives should review how their organisation is prepared for any security compromise. TestPoint can help you adopt an advanced detection incident response/management solution with our Vansah ATSI framework. Our propriety technology is an advanced detection and incident framework for organisations serious about cyber security. You may be eligible for our complimentary Test Process Assessment (TPA).